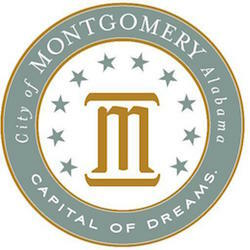 Montgomery has two cable Internet access providers, Wide Open West (WOW) and Charter Communications. AT&T still offers slow, inadequate DSL in the area. While businesses have access to cable services, rates are higher in Montgomery than in Atlanta or Birmingham; in some cases, entities have gone outside the community to get better rates. Auburn University has leased circuits and bought bandwidth as far away as Atlanta because it costs less there. Community leaders anticipate the MIX will help encourage competition and reduce prices for businesses and local colleges. Maxwell Air Force Base and its annex, Gunter Air Force Base are situated in Montgomery and collectively known as Maxwell-Gunter AFB. The base was home to the first Wright Flying School, the first place soldiers and civilians learned to fly planes. The training facility has grown over the years, and is now home to Air University, commanded by Lt. Gen. Steven Kwast. It includes the Department of Defense’s new Cyber College, focusing on cyber security strategy training. In order to allow students and staff the ability to collaborate with people outside of the Air Force network, the Cyber College needed a fast and reliable connection to a commercial connection. The Defense Information System Agency (DISA), the backbone of the Department of Defense information network, maintains a data center on the Air Force Base with Akamai, which is contracted to handle data for all medical records for military personnel. Since Akamai and the Air Force had worked together well the past, Lt. Gen. Kwast sought a solution that would advance that relationship. The Retirement Systems of Alabama (RSA) is an arm of Alabama state government that is responsible for retirement accounts of state employees. In 2012, the RSA built a data center in downtown Montgomery, in an area where there is a need for high-quality commercial connectivity. Several ISPs had a presence at the RSA data center when Lt. Gen. Kwast began to develop the idea for the MIX. Kwast and the Air Force nurtured the concept of creating the Internet exchange in the RSA data center. Akamai now stores servers in the data center, so RSA and ISPs serving customers in the downtown area can connect there as a neutral location. For a low monthly investment, the city has already seen results, as new infrastructure investment, driven by the presence of the exchange, is likely to drive down Internet access rates for businesses through more competition. Providers that did not have access to a local exchange until now have started connecting in the MIX and are saving money. More companies are interested in joining the MIX as word spreads. The city and Montgomery County provided approximately $200,000 in consulting fees and seed money to get the exchange off the ground. Packet Clearing House, a non-profit dedicated to network development and traffic exchange, donated the necessary switching equipment. Necessary monthly funding is minimal. They pay only approximately $50 per month for electricity to run the equipment, $900 per month to lease rack space to house the Akamai equipment, and $800 per month for Internet transit so Akamai can manage servers and fill content. Yet another ISP is negotiating in anticipation of joining the MIX and, if things go as planned, will invest significant capital to create a point of presence in Montgomery in order to peer with other networks and use Akamai’s content delivery network. Southern Light Fiber, based in Mobile is now building a fiber network throughout Montgomery and will also connect in the MIX. Southern Light is expanding to northern areas of Alabama and this will be their third public peering point. Television broadcasting company Raycom Media, Inc., located in downtown Montgomery, is also in the process of joining its network to the MIX. The company has never participated in an Internet exchange before, but its network engineers want to connect locally and take advantage of Akamai’s content delivery capabilities. Raycom also has a number of employees that work remotely and feel a local connection at the MIX would allow them to have better access to corporate resources. Hurricane Electric Internet Services, headquartered in Fremont, California, is coming to Alabama, inspired by the presence of the MIX. A local ISP hopes to purchase one or more 10 Gigabit per second (Gbps) circuits from Hurricane; the result would mean a 2/3 drop in their Internet costs. For more on the Montgomery Internet Exchange, listen to Chris interview Ben Venable, Project Manager for the MIX, on the Community Broadband Bits podcast episode #195.